We all know the health benefits of curd. 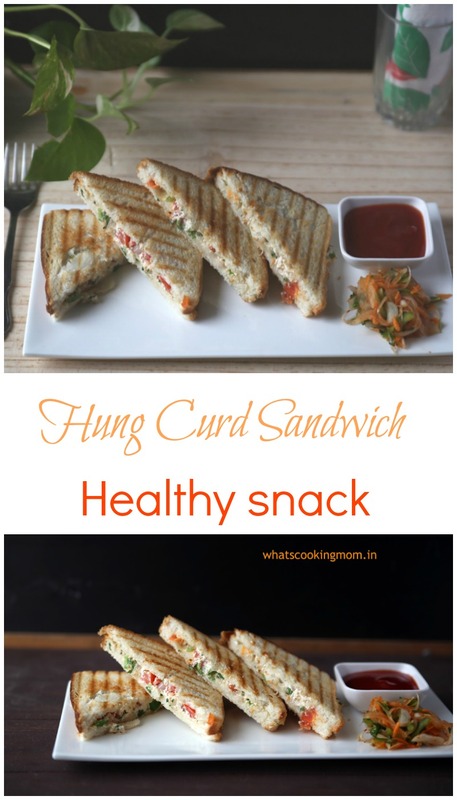 Adding hung curd in sandwiches gives the taste of cheese while you enjoy health benefits of curd. What could be better than that? I have learned the recipe from my husband’s Buaji. She was visiting us in April and we were discussing my blog and recipes in general. And she said okay you have to try this recipe. 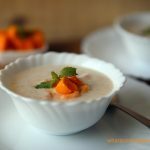 I am sure your kids will love it and if they do you can share it on the blog. 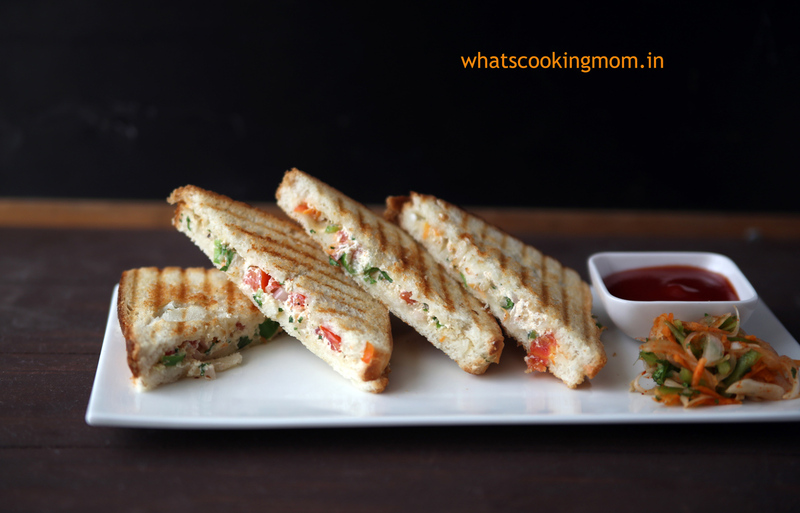 I have added some more vegetables to the sandwich and I have added Chaat masala and Oregano also as my kids love their flavor. But you can skip them if you do not want. 1. To make hung curd hang 1 1/2 cups of regular curd in a muslin/cotton cloth in a strainer. Keep a bowl under strainer to collect the liquid. 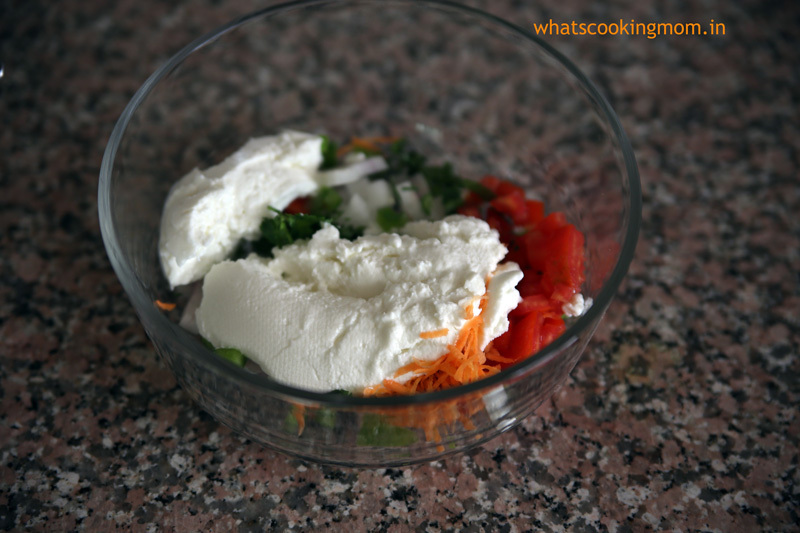 Keep this curd with the strainer in the fridge for 3-4 hour. So that all liquid separates from the curd and you get a thick cheese-like curd called hung curd. Keeping it in the fridge ensures that the curd does not get sour. 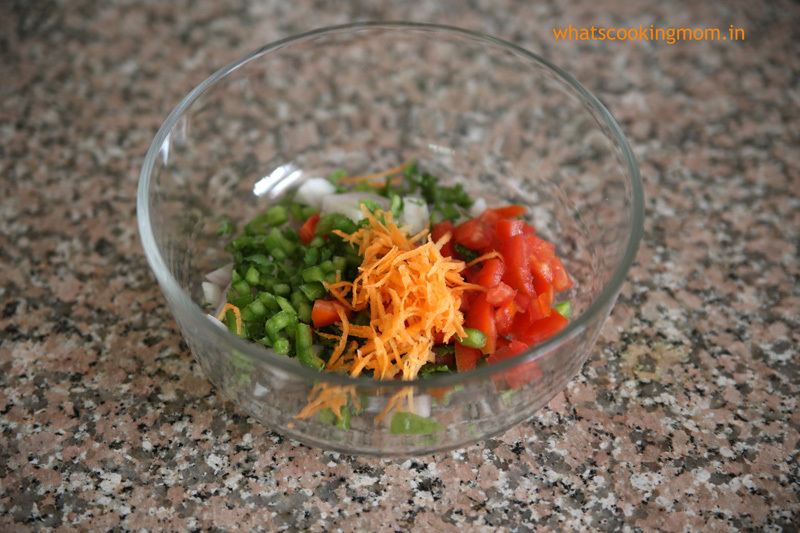 Take all the chopped vegetables in a wide pan. Mix all the spices and salt and mix properly. Grease bread slices lightly on one side. 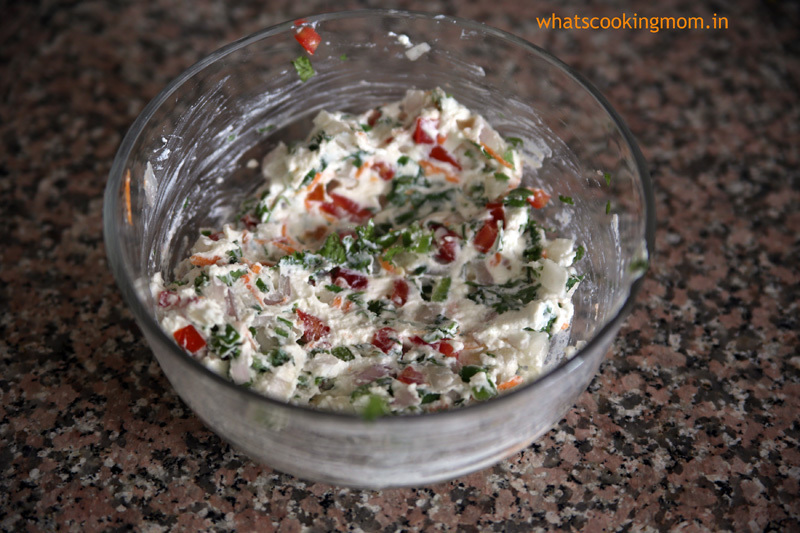 Apply a thick layer of hung curd mixture on bread. Grill in a sandwich maker or Tawa. Nidhi, plz tell me what type of salad is kept on the plate with ketchup n sandwiches. And how to make it. I feel like picking up my folk n gobble them off. Looks Yummy. 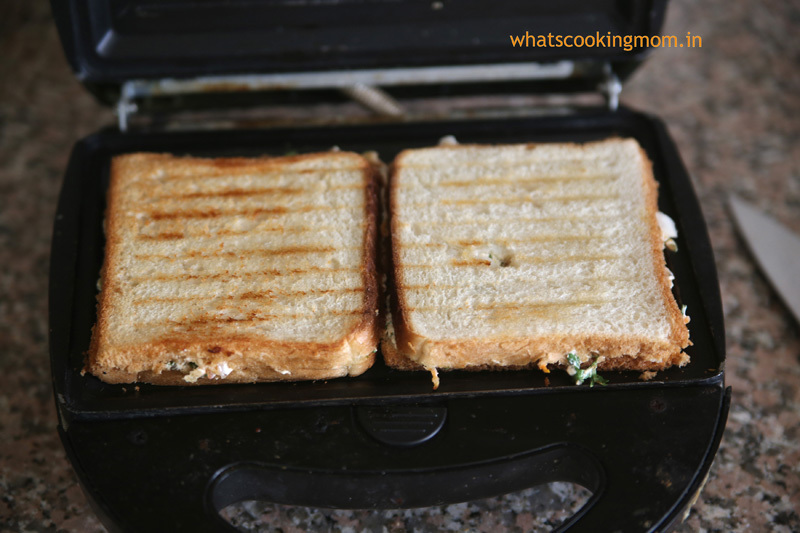 Also, can u suggest me the sandwich griller model u own. Am planning to buy one but confused with the options available. Thanks Aruna. I am using Glen multi sandwich maker. It is good. 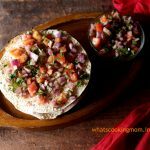 Just came across this blog while searching for lunch box ideas for my 7 and 3 year very picky eaters . 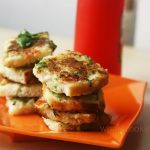 I loved all the recipe s – tried the poha tikki and aalu poori so far and they turned out really good. Thanks for sharing. 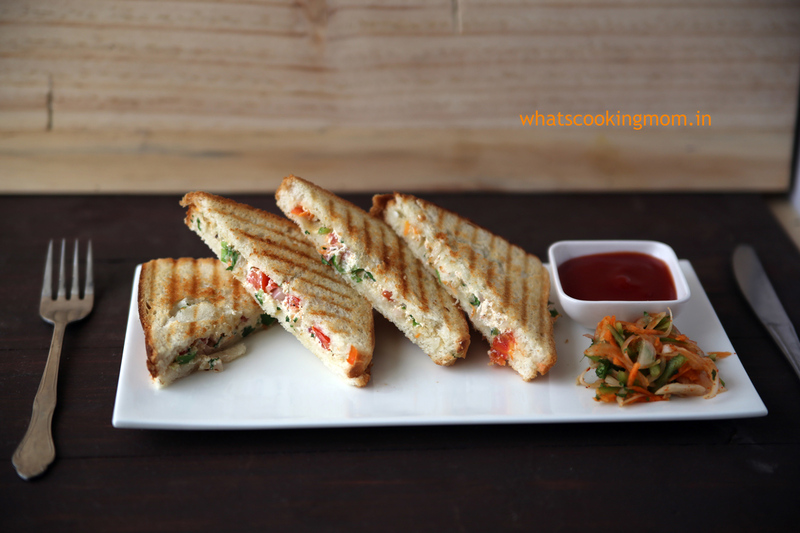 I had a question reg this hung curd sandw – . I am sure they are very yummy when served hot and fresh. But won’t they become really soggy in lunch box by recess because of tomatoes and curd. Have you personally tried sending them in your kids lunch ? Could you please let us know. Thanks Sneha. 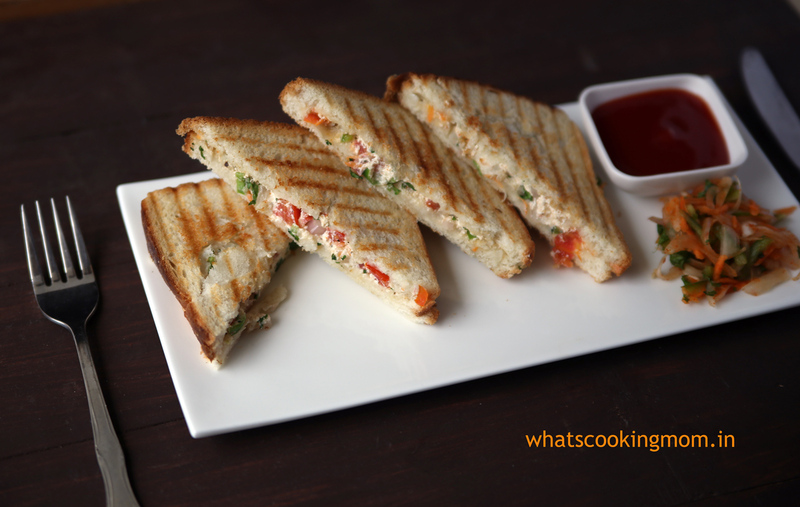 Yes you are right that hung curd sandwich tastes best when hot and fresh. But I have sent these in kids tiffin and they liked them even though they were a little soggy. Let them cool down completely before packing them. and please make sure that the hung curd you use should not be sour or watery. 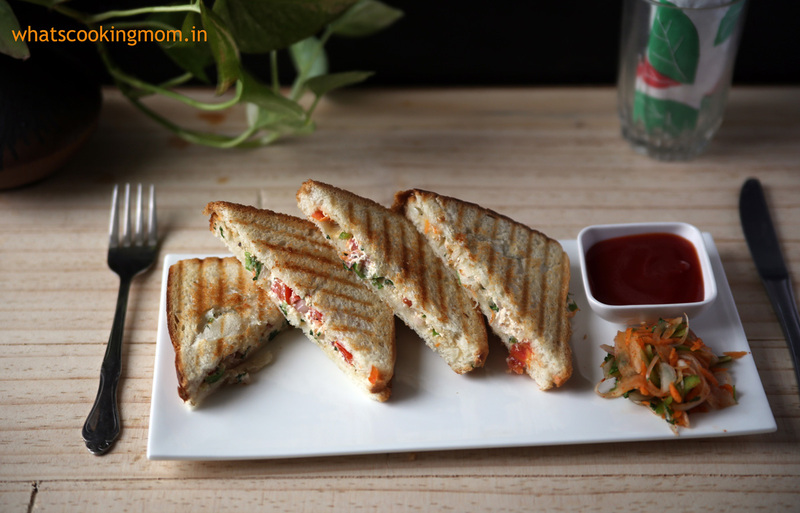 Easy to prepare…yummy to eat…Perfect for bachelors…. Thank you! Nidhi they turned out very delicious. Easy to make and nutritious also. My husband loved them. Got something new to make for breakfast. Keep posting such easy to make and nutritious recipes. 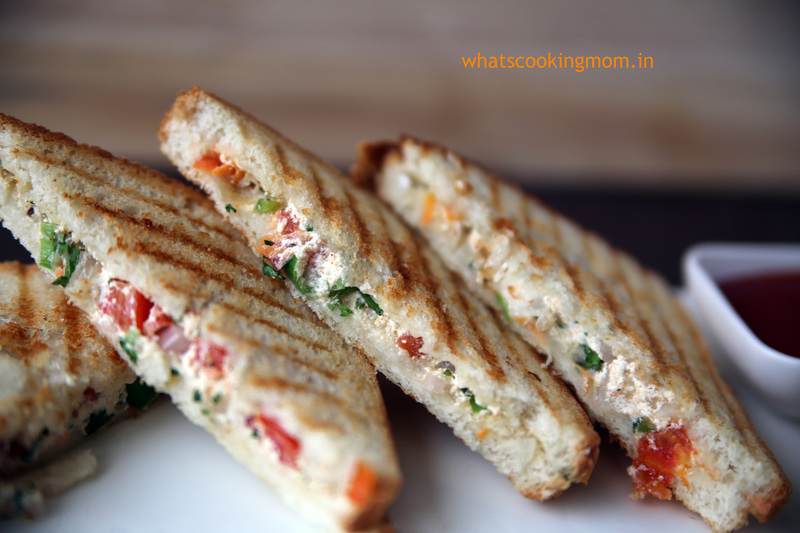 A delicious way to pack vegetables in a very healthy sandwich which uses hung yogurt to give the creaminess without the unnecessary calories. 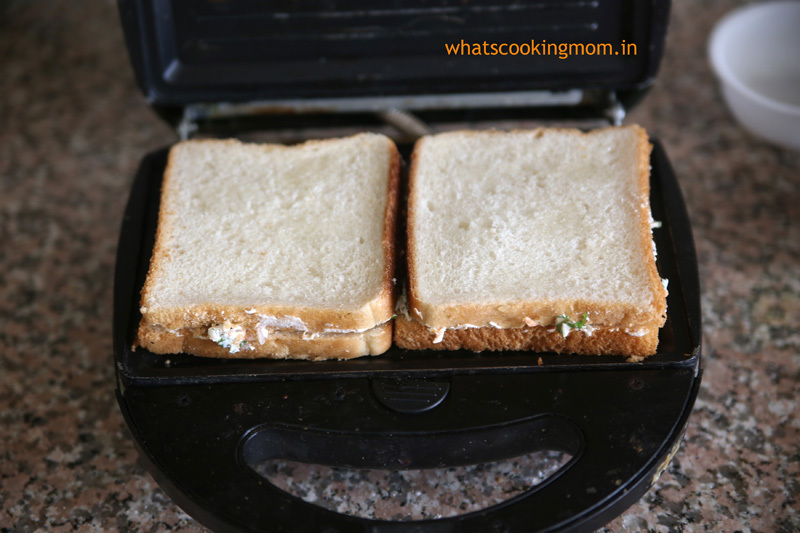 Wonderful lunch box idea for both kids and biggies alike.